This revitalising formula delivers structurally stable Vitamin C deep into the skin; the result is a natural fresh new radiance and powerful anti-ageing boost. 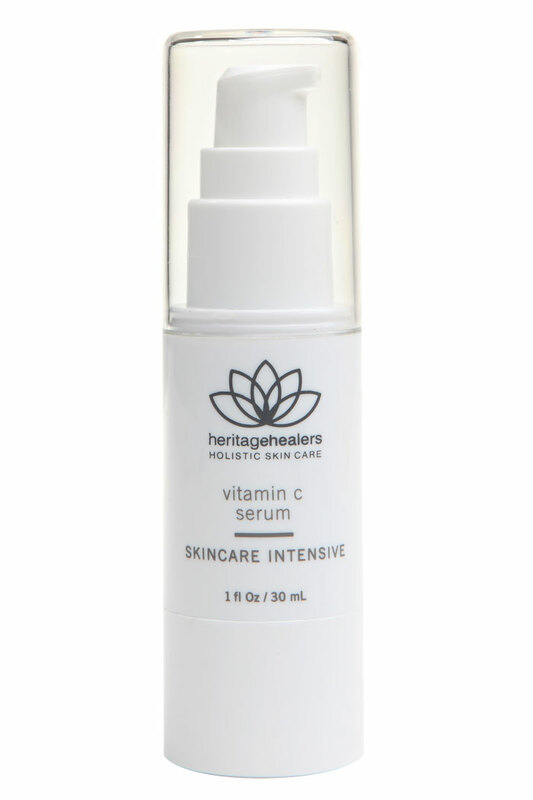 Vitamin C (ascorbic acid) is a potent anti-oxidant and a key element in collagen synthesis. It is excellent for skin hydration, repair and regeneration, fighting radicals, and bringing new life to environmentally damaged, tired, stressed and dull skin (especially in smokers). Also very effective in reducing skin pigmentation, this powerful serum will reduce the appearance of fine lines, wrinkles and skin irregularities caused by sun and ageing. Give your skin radiance & a powerful anti-ageing boost. INGREDIENTS: Purified Water (Aqua), Ethylhexyl Palmitate, Glycerin, Stearic Acid, Isodecyl Neopentanoate, DEA-Cetyl Phosphate, Isostearyl Stearyoyl Stearate, Ethyl Ascorbic Acid, Ascorbic Acid, Simmondsia Chinensis (Jojoba) Seed Oil, Aloe Barbadensis Leaf Juice, Alchemilla Vulgaris (Lady’s Mantle) Extract, Vitis Vinifera (Grape) Seed Extract, Saccharomyces Lysate Extract, Phytic Acid, Sodium Hyaluronate, Superoxide Dismutase, RNA, Sodium DNA, Serine, Salicylic Acid, Squalene, Dimethicone, Cetyl Alcohol, Citrus Grandis (Grapefruit) Peel Oil, Disodium EDTA, Butylene Glycol, Carbomer, Sodium Metabisulfite, Sodium Citrate, Citric Acid, Triethanolamine, Methylparaben, Imidiazolidinyl Urea. Best used alone, (or with the Vitamin A) as an alternative serum to the Botanical Bio-peptide Concentrate and Face Firming Complex as a short intensive course. Apply daily, morning and night after cleansing. When using both serum, apply the vitamin C serum in the morning and vitamin A refining complex at night. Always follow with appropriate moisturisers, applied over the serum.